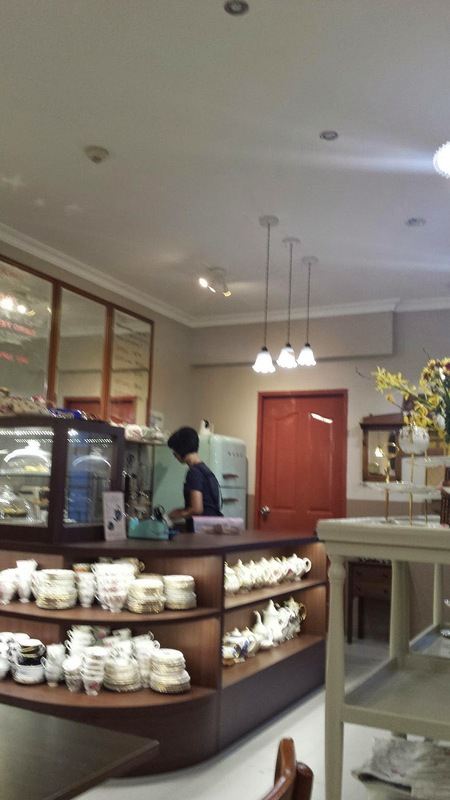 It is such a rare sight to find a cafe using vintage china bone ware in Singapore. So sad when Royal Copahagen exited this region. 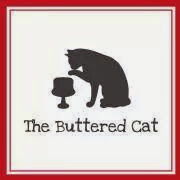 The Buttered Cat was set up in 2014 by a couple who wanted an indie-themed cafe. Lady Boss, Itsoh is a baker herself. 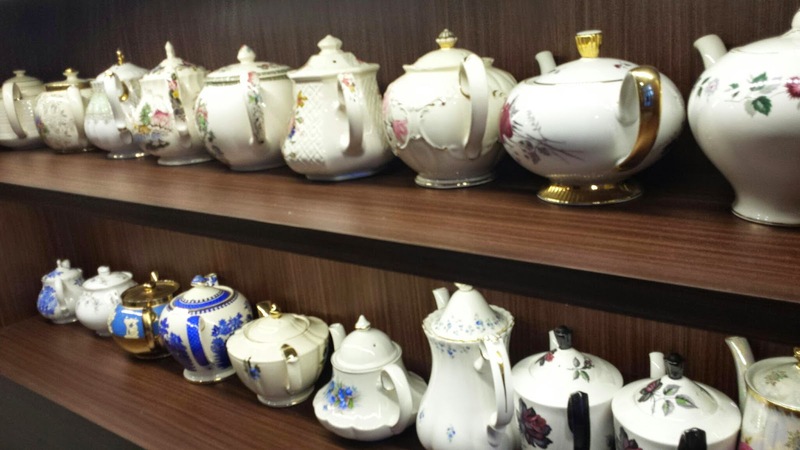 See the collections of teapots. 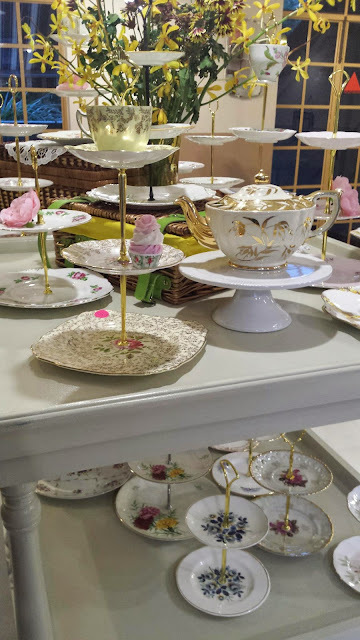 Order a pot of tea and they will be served in one of them. The tiered trays are made in-house. 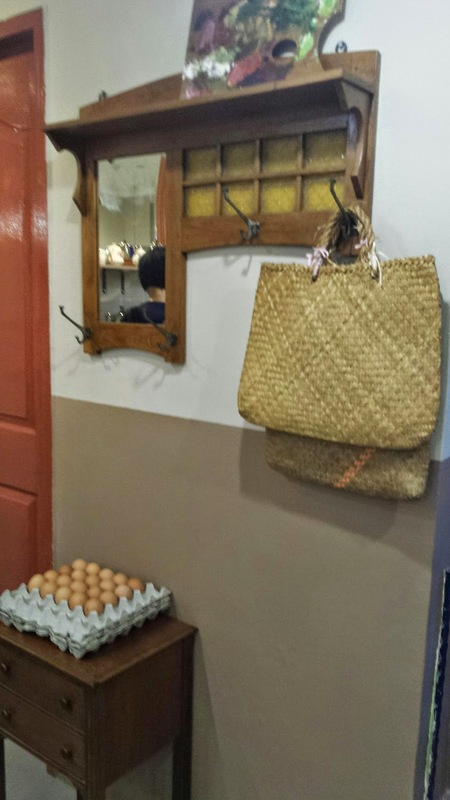 Lovely wares. 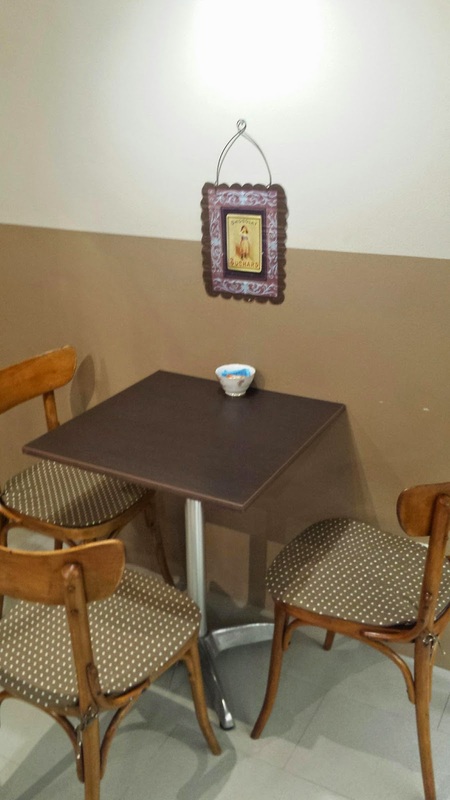 One will feel so relaxed whilst in the cafe with friends or family. Lady Boss Itsoh was sharing with me that she baked all the pastries herself. All pastry skin were hand rolled by her. All sausages used in the pies were made by her. No processed sausages were used. Amazing! Bakes will be made daily to ensure their freshness. - various blends of tea (served by pot using tea leaves), coffee, latte, iced and hot chocolate. Food items ranges $2.90-$3.50 per serving, beverage $3.90 upwards. They occasionally have specials eg. Apple crumble pies, carrot cupcakes etc.. All made from their tiny kitchen. 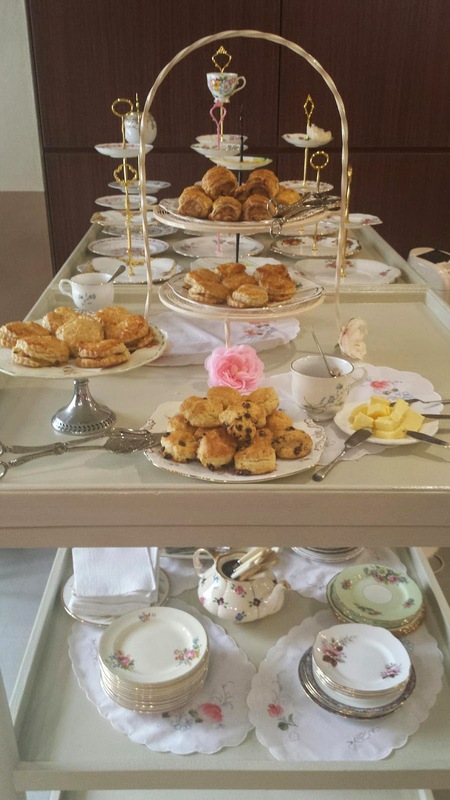 A little tea party that I catered for a crowd of 18 on 22 June 2014. 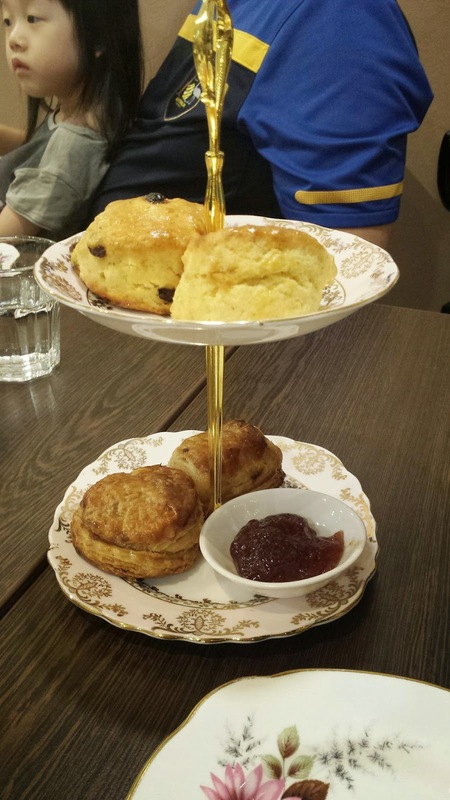 Friends were treated to the fresh bakes and free flow of coffee and tea. It was indeed a great catch up on a Sunday with fellow parents. We do need a break from parenthood sometimes.